Ships tomorrow if you order in the next 17 hours 22 minutes. 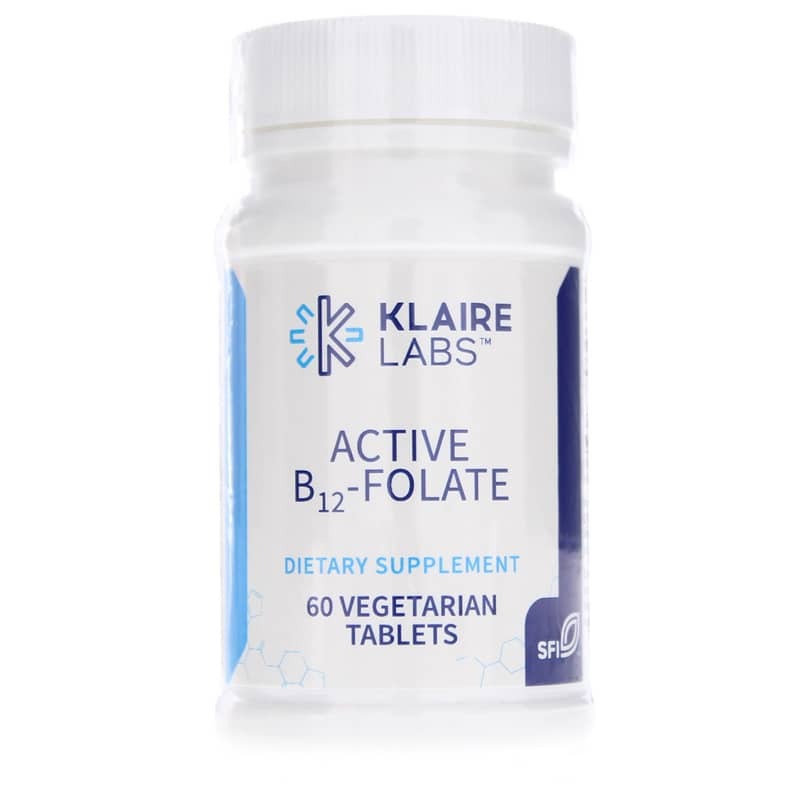 Active B12-Folate from Klaire Labs contains a high concentration of vitamin B12 to bypass normal absorptive mechanisms that rely on intrinsic factor. Folate complements actions of B12 for homocysteine methylation and nervous system function. 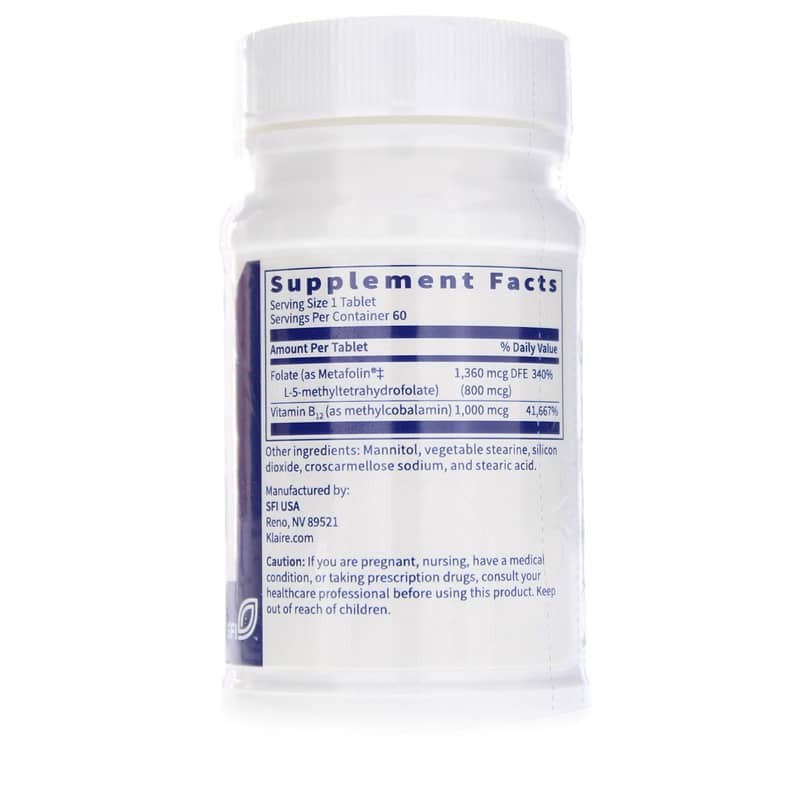 Provides bioactive forms of both vitamin B12 and folate for highest bioavailability of these important B vitamins. Tablets may be dissolved in the mouth or swallowed whole. Other Ingredients: Mannitol, vegetable stearine, silicon dioxide, croscarmellose sodium, and stearic acid. 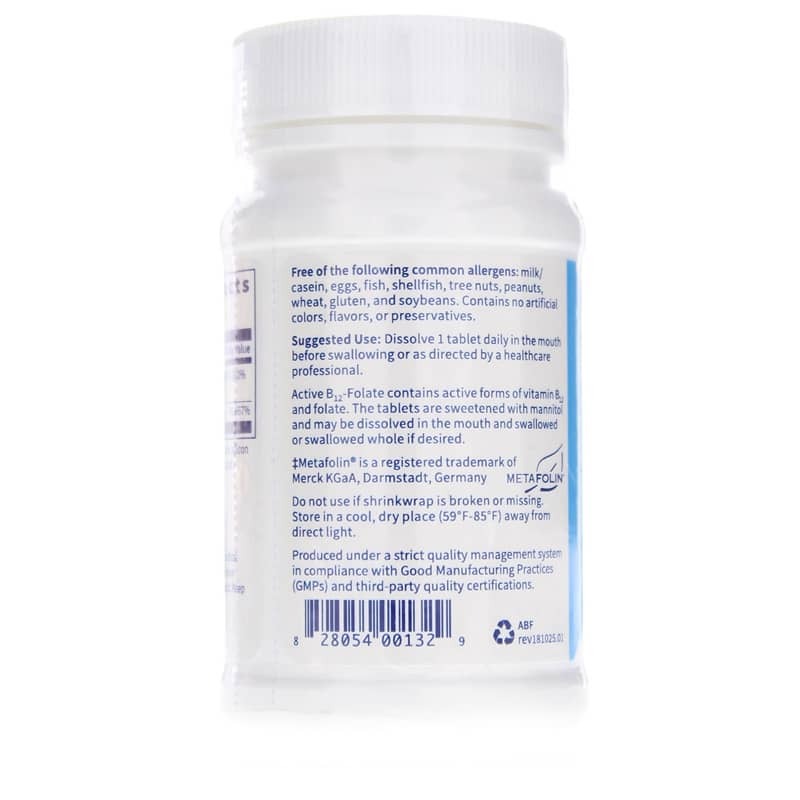 Adults: Dissolve 1 tablet daily in the mouth before swallowing or as recommended by a healthcare professional.